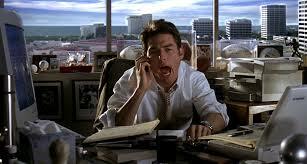 It’s hard to believe, but Jerry Maguire the movie is 20 years old! As a die-hard, fanatic lover of sports movies (sports imitates life and certainly business) and in honor of the anniversary of this iconic movie, I just had to watch it – again! for the millionth time. This time, surprisingly, I saw new nuggets of business wisdom in that old flick. In case you’ve never seen it, Jerry Maguire is a young up and coming professional (remember that old term – yuppie?) sports agent in LA. At the pinnacle of his career, in a moment of blinding hubris and soulful search for purpose – he writes a personal mission statement that he distributes to his entire incredibly superficial money-hungry company. Jerry is instantaneously down, out (jobless), and in desperation, manages to keep one last, lonely client: Rod Tidwell -a just-about washed-up, pissed-off, money-strapped pro football player. These two “Losers” – with a capital L – are attached at the hip and learn quite a few life and career lessons together. 1. Clients are always telling us what it will take to get their business (if we listen, we’ll hear it) Rod said it as clear as a bell: Show me the money. That’s what he wanted and he didn’t care what it took to get it. He didn’t care about nice-nice, or pats on the back – he just wanted to provide for his family. 2. Never take a client’s business for granted. Cush, Jerry’s other supposed “shoe-in” client jumped ship to another agent who was waiting in the wings as soon as Jerry’s attention went elsewhere. 3. Clients want to know you understand their needs and what’s important to them. The scene where Jerry tells Rod “Help me help you!” is art imitating life. This is every service entrepreneur’s underlying motto. 1. We are all yearning to live lives filled with purpose. Jerry just couldn’t help his deep desire to get past all the surface crap and find some authenticity in what he was doing. It came to him in a moment of drunken weakness, but it was lying dormant waiting to come out. Don’t we see evidence of this yearning in the eyes of the millennials we are working with today? 2. Your mindset dictates your destiny. Jerry was a huge failure in the eyes of everyone in his profession. He had to swallow his pride and control his mind, focus on the opportunity, and march forward. OK, it looked like a lot of stumbling around til he got his bearings. But he didn’t give up. 3. People buy from the heart, justify with the brain. He finally reached Rod and motivated him by getting him to go past his anger and touching him in the heart space. Jerry mentored Rod on mastering his mind, attitude, and helping him play with heart. Rod had ability but never accessed it fully because of his negative attitude. Rod mentored Jerry in personal relationships. Jerry had never gotten in touch with what was really important to him and how to share that with the people who really mattered in his life. There are a gazillion other messages, themes, and takeaways from this film. If you have never watched it, do yourself a favor and rent it, download it, but watch it. If you’ve seen it before, and you want a free lesson in sales, marketing, and most of all mindset turnaround for coming back from a slump, make sure you re-watch it asap. As Jerry says, Help me help you. You don’t want to have a big L on your forehead, do you? P.S. What’s your favorite takeaway from this movie? What other sports or sales movies have motivated you, educated you? P.P.S. I’d love to hear what you are up to in your business as we approach 2017 and what your biggest marketing challenges are. Shoot me an email and let me know….I’d love to hear from you personally! Stress. It’s a killer – mentally, physically, emotionally. If you’re a professional or an entrepreneur, whether solo or with a staff, you know full well how the intensity and negativity of stress can kill off success. And if you’re in business, you also know stress, at some point, is unavoidable. Today, I want to share with you some techniques gleaned from the sports world to help you prevent stress from derailing you – no matter the circumstances. There is no better mental school of business, no clearer lessons than those learned from the warriors on the playing fields and sports arenas. I’ll start with a few examples from some favorite films. Agreed, they are not the best movies but they surely demonstrate powerful examples of how pressure and stress can hinder the finest athletic talents. They also uncover some remarkable solutions. Now I am a sucker for baseball movies. I love them all – good, bad or indifferent. As Brad Pitt says in Moneyball, “Its hard not be romantic about baseball.” But for me, it’s way more than that. Baseball movies reveal the mindset of sport – and it’s in the mind that all games are won – and lost. So let’s look at For The Love Of The Game starring Kevin Costner. Kevin plays an aging baseball pitcher with a stellar career battling back from a devastating injury and a driving passion to end his career on a high. As he stands on the pitcher’s mound for one last time, he squashes down his fear and stress with his long-time mental mantra: “Clear the mechanism.” The roar and jeers of the fickle crowd are silenced in his mind as he focuses on the task at hand. Next: While I’m not a golfer, I found this flick to brilliantly express the path to clearing the mind and forging a pathway to success. In The Legend Of Bagger Vance, Matt Damon plays a washed-up golf prodigy filled with self pity. Enter Will Smith as Bagger Vance, the inspirational coach who helps Matt Damon get back into his zone allowing him to overcome negative thinking, the stress of playing in public, and overcoming all odds once more. But what about real life, real everyday, garden-variety S-T-R-E-S-S where there is no magic, and no let up? This is where we as business owners and professionals go completely OFF THE TRACK. Your mind is the control switch for all success and all stress management. You are not doing yourself any favors or your staff a bit of good if you don’t learn to master stress in the mind first. Back in the early 90’s, tennis great Andre Agassi was in a super slump. Every time he went out and played he struggled and slipped from his former winning rank. Then he suffered a wrist injury. At his wits end, Agassi sought out Tony Robbins for coaching. Agassi told Robbins that he’d been spending time working on his swing mechanics, especially in relation to his recovering wrist. 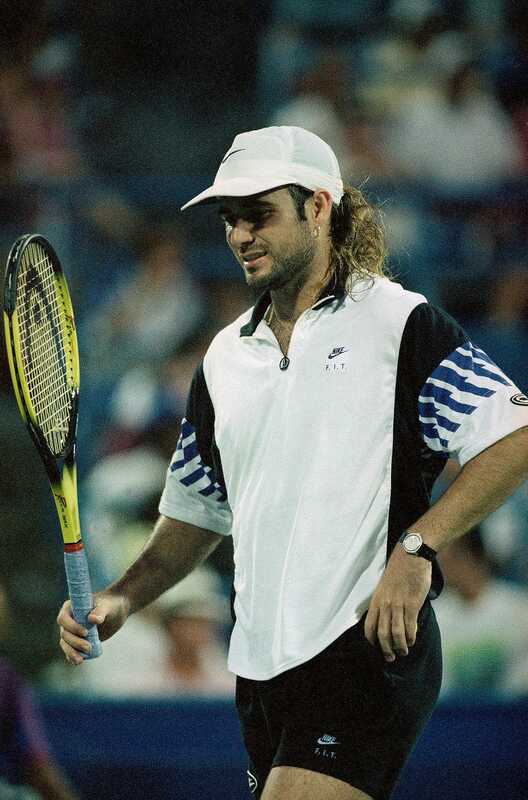 The next year, 1994, Agassi made a comeback under a new coach and with renewed confidence. And what about the ultimate fall-from-grace slump-story of all time, Tiger Woods? Just last week, Woods returned to the game he so loves in the Hero World Tournament after 16 months off. Three back surgeries and numerous other physical injuries layered in his mind onto the depressing series of failures and humiliations over the last several years. But Tiger did something amazing. He patiently progressed and finished the tournament. Woods played four straight rounds of respectable, often impressive golf, showing flashes of the spectacular play that was once routine. While he also showed the effects of 16 months away from the course, fading hard at the end of every round, he has mastered his mind sufficiently enough to get back out there in spite of the stress and make an admirable showing of perseverance, patience, and progress. How does he do that? After YEARS of failing and criticism? (often well-deserved obviously). I looked to some sports mental skills experts for answers. Geoff Miller, a mental skills coach for the Atlanta Braves developed an assessment called TAIS which refers to The Attentional And Interpersonal Style inventory to identify players mental game strengths and weaknesses. And Jenny Truman, mental skills performance coach for athletes, says that very often, when stressed, players can take too much time before taking action and that this can actually reduce results as opposed to upgrading them. (Tennis mega-star Rafael Nadal is infamous for this when serving and has acquired many penalties for time violations). So what can professionals and business leaders do, tactically, to overcome the negative effects of mental stress when it comes to business performance? Mastery of external/physical skills and mastery of the mind (Internal mental skill). In business, however, leaders and entrepreneurs focus almost solely on the external – technical actions to produce successful accomplishment of goals. The internal challenges impacting outcomes are usually overlooked. This is a huge error. Develop an unshakeable belief system and foundation of self confidence. Successful professionals and business owners often want to rely on tangible evidence before establishing belief and confidence. No! It actually works the other way around. Learn and teach belief and self confidence-building practices first to set a foundation to your performance. 2. Learn how to quiet the mind to develop focus and tune out negativity (“Clear the mechanism”). Think this is a bunch of woowoo? Many CEO’s and business leaders are now incorporating meditation into their daily practices to improve focus and successful results. I’ve got a great real life experience of this I’m going to share. I was giving a keynote address to a professional association recently. I’ve done this many times before and had prepared carefully and faithfully. Still, I was unusually anxious and nervous. I decided to apply some of the tools I have in my tool kit. I did a visualization of the audience laughing (with me of course) paying rapt attention to my stories, applauding, and coming up to me afterward with appreciative feedback. I’d like to say it went exactly like that. I was still very nervous and uncomfortable. Before the presentation, a colleague kicked off the event with his presentation. Something amazing happened. Within a minute or two of his starting his talk, he started to have a panic attack. He got sweaty, short of breath, had to ask for a glass of water and told the audience they were making him nervous! I felt so awful for him. As soon as I focused on my empathy for him, my nerves evaporated. I went on and my positive visualization materialized almost exactly as I’d pictured it in my mind. We are moving into holiday season and the start of a new year. These are often highly stressful times in business. As professionals and business owners, it is, without question, imperative to have the right strategies and tactics for success in your business. However, without you and your staff having the right mental skills and fitness, it is like driving a car with only 2 wheels. Is it any wonder you’re feeling stressed? Got a sports psychology story that has inspired you for your business? Please share it!